I am not sure if everyone was out Christmas shopping at the weekend, or very few could be bothered to face the elements, but it was a quiet one for fishing all over the South Coast. 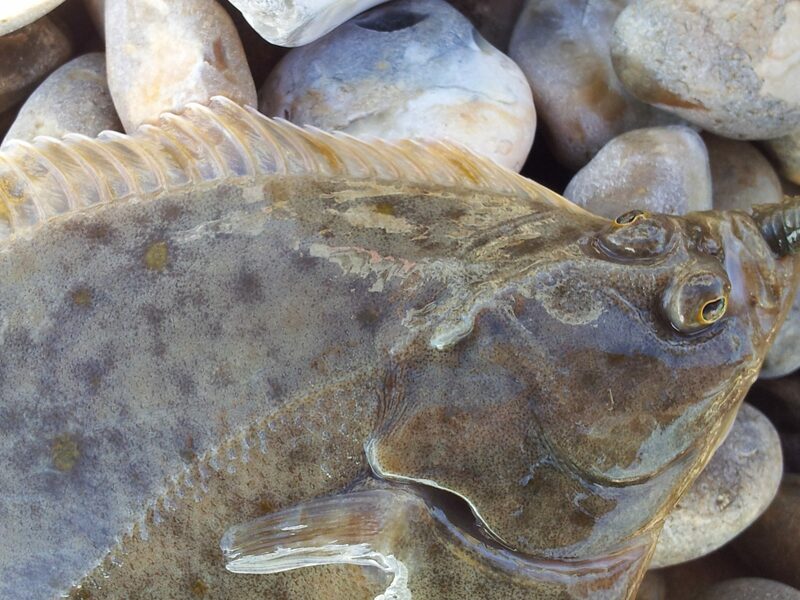 Having said that the Bristol Channel has produced some decent Cod and plenty of Thornback Rays. Plymouth has been fishing reasonably well, but I am going to let Bassman report on that over the next couple of days. The Flounder fishing at Poole looks like it has really started to pick up. I know several people including my mate Paul Black that have caught good numbers over the past week. Paul managed 13 on Sunday, all on Ragworm. With Chesil looking unfishable on most days up until Christmas day and people not really getting out I thought I would do something a bit different this week. Tomorrow we have a greatarticle from Tim Howe on a recent trip fishing for Dogfish Tuna. Wait till you see some of the pictures you will be drooling. I also hope to get out an article of keeping warm this winter. Just in case you are wondering, we will be keeping up the fishing reports and forecast over the Christmas and New Year period. Hopefully I will find some time and weather to get out and catch some fish. I have been thinking for some time that it would be a good idea to have fish recipes on the site. I mentioned this to our photographer and cameraman Gavin and he suggested that not only should we have some recipes, but it would be a good idea if we created some catch and cook videos to go with some of the other videos we have due for release next year. I liked that idea, but then thought, why don’t we have a competition where people can send us in their recipes, we choose the best one each month and you get the chance to win a prize. The competition is open to anyone, not just anglers, so if your wife or partner can cook then get them to send in their recipes. We are looking for fish and shellfish recipes and they have to be from sustainable species. We will need you to provide a picture of the completed recipe, but we will happily take additional pictures of preparation. This months prize will be a copy of Henry Gilbey’s Ultimate Fishing Adventures We will extend this months competition until the end of January 2016. The first recipe is one sent in by Fraser Munro. 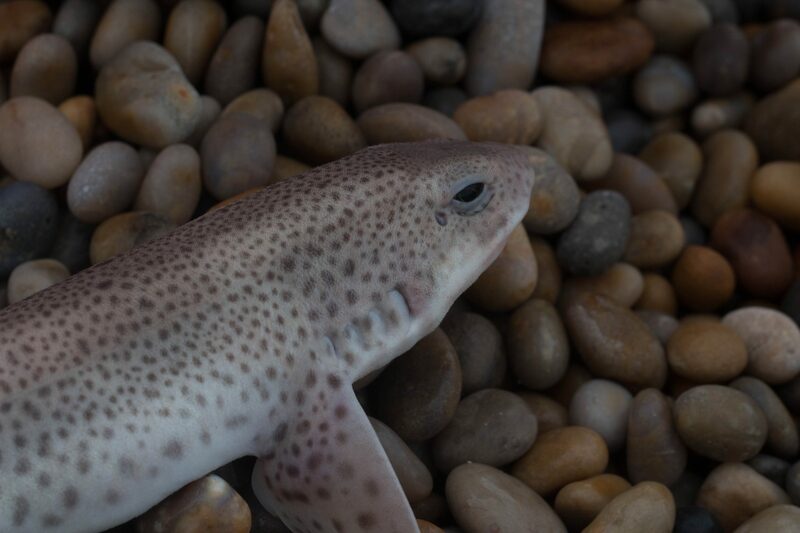 It wasn’t originally meant for any competition and was in response to the number of Dogfish that were found dead on the beach, so I have entered it for him. 8 Responses to "Pesky Dogfish or a delicious treat"
It sounds like you were either catching Jelly fish or possibly Sea Squirts. WIthout seeing a picture it is hard to tell. Yes they are ok to touch. I agree with you about the bait fish and Bass, but just remember that as of midnight tonight all Bass must be returned. Where I fish on the Outer Banks of North Carolina, east coast U.S. I frequently catch our species of dogfish, the smooth dogfish (Mustelus canis). Most people catch them incidentally while fishing for something else, and many people consider them pests. They are, however, good eating if prepared properly. I usually gut them immediately and put them on ice in a cooler. Later, I cut off the fins but leave the head on as something to hold onto. I cut through the skin all around below the head and pull the skin off with pliers. I’ll fillet larger ones but just cut smaller ones into pan-sized pieces. I have found that soaking in salt water does nothing to neutralize the ammonia from sharks; a mild citrus solution (water to cover with juice of a lemon squeezed in) works much better. Thanks for that tip Will.